Step inside this light and bright condo in Wheatland Arms! Located on the 3rd floor, this condo is a highly desirable end unit which boast lots of natural light from the extra windows. You can see the beautiful autumn leaves or even the combines during harvest from the north! 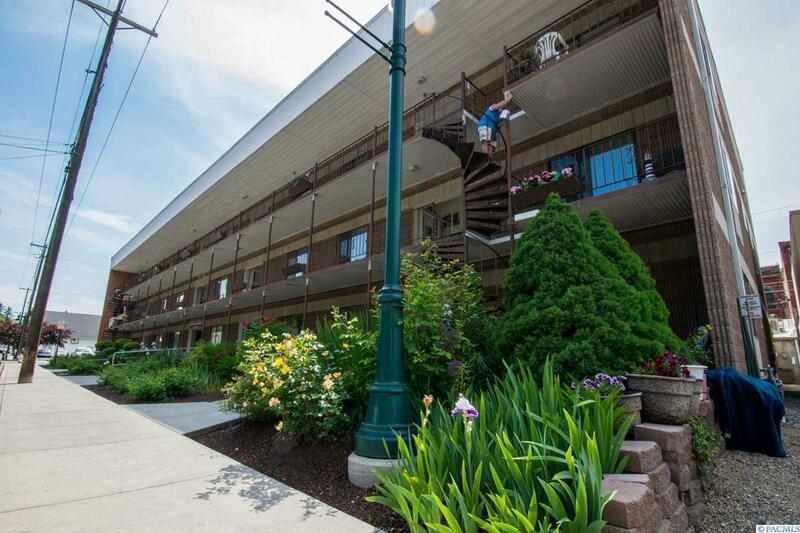 You will enjoy evenings sitting on the front balcony! The condo has a nice large living room with adjacent dining space that is adorned with a pretty ceiling fan. You will enjoy the nicely remodeled, bright kitchen too! Lovely white cabinets ( including handy ones with lazy susans for easy access), tile backsplash and lots of counter space for food prep. All the appliances stay, too! Down the hallway, you will find a large full bath. Next, is the laundry room with lots of storage and a nearly new washer and dryer. Each bedroom is generous in size with large closets. You will stay cool in the summer with the lovely ceiling fans. This is in addition to the wall air conditioner at the front of the home. There is lots of storage in this condo with a closet at the entry as well as a hallway closet!!! There is also designated storage in the basement. This condo has a designated parking spot, located in the parking lot across from the Baptist Church. If you don't drive, that's no problem! Wheatland Arms is located in the heart of Colfax, within walking distance to coffee shops, restaurants, library and stores. Listing provided courtesy of Windermere Real Estate. © 2019 Multiple Listing Service of Pacific Regional Multiple Listing Service.